Price From £9,495, Road Tax £120, Emission Level Euro6d, Fuel Economy 47.1mpg combined, Fuel Tank 45 litres, Boot Space 285 litres. It's finally here, the brand new compact supermini from MG, the all-new MG3. As we approach the centenary of MG Cars, the car manufacturer has decided to make a bold new statement, revamping the old MG3 and giving it a much-needed facelift to keep up with today's demanding market for an affordable sports car for the masses. Generation 2(2011 - present): The latest in line for the MG3 range is the 2018 model which came packed with brand new features, with the obvious change being the brand new facelift, which is modelled of the uncle of MG, the MG ZS. 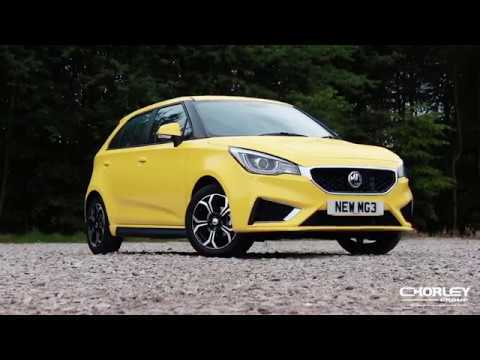 The compact MG3 took inspiration from the ZS when getting a new facelift, adapting its gorgeous front end sporty grill, dashboard, seat style and audio controls for the vehicle. It's never been easier to finance an MG with Chorley Group. All vehicles can be purchased outright at our current Cash Price offer, however an overwhelmimg majority opt to finance new cars with a finance agreement, paying monthly for the vehicle over an agreed period. These finance agreements come in a variety of flavours to suit your personal requirements. Built to the highest standards in our state-of-the-art factories, we are so confident of the quality and reliability of MG3 that we give it a 7-year manufacturer’s warranty. Our warranty is fully transferable to future owners and lasts for up to 7 years or 80,000 miles, whichever comes first. So, from day one to the end of your car’s seventh year, you can be sure that MG is right beside you! You can download the brand new MG3 brochure here to find out more about MG3 accessories. 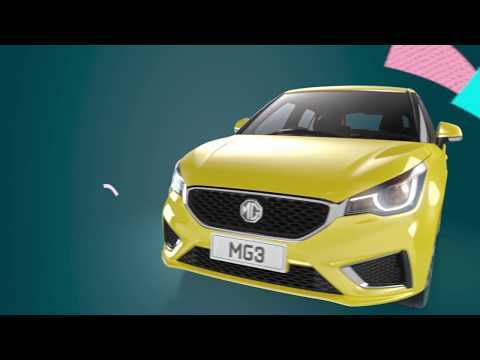 Keeping with modern times, the brand new MG3 has a gorgeously improved exterior, getting a major face-lift inspired from it's big brother, the MG ZS, which gives the car a brand new lease of life with a sporty body. It's beautiful to look at, more aerodynamic and is here to stay. The new MG3 comes rolling on some 16" alloy wheels, which you do not get with the Explore version of the vehicle. A gorgeous 5 spoke construction to the wheels complement the body of this sports styled vehicle perfects, giving you a solid drive, whilst also turning heads along the way. Got luggage? No problem. The MG3 comes equipped with a decent sized boot, standing at 285L with the seats up, and when you get them down, it upgrades to a 1,262L holding capacity for those extra shopping bags, giving you room to breath when you need it the most. As with the outside of this vehicle, the inside is just as impressive. Taking inspiration again from the MG ZS, the MG3 has a brand new interior featuring new (leather on the Exclusive model) seats for a pleasurable driving experience, a gorgeous leather steering wheel to ensure your hands get to taste the driving experience and a fully new dashboard with multiple audio and ventilation components for you to play around with. Primed and read in the middle of the dashboard is the 8" colour touchscreen for your convenience. The touchscreen display contains features such as the DAB digital radio, TPMS (Tyre Pressure Monitoring System) to ensure your tyres are safe for the road, the settings menu to enable you to configure your MG3 the way you want it, phone integration to call loved ones and Apple Car Play for your audio needs just in case there is nothing good on the radio and need to listen to your own songs. 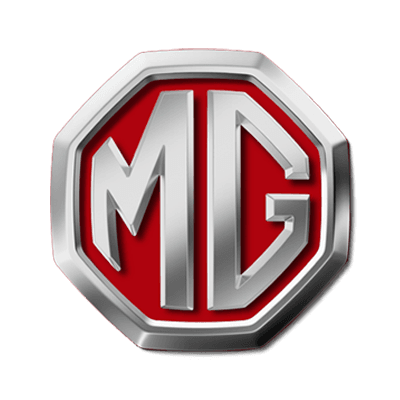 This wouldn't be a complete fantastic vehicle without the backing of some outstanding warranty, and that is exactly what MG provide to you. 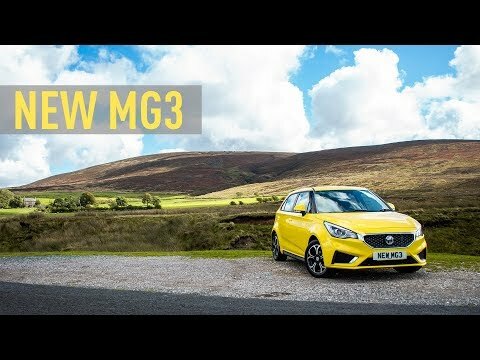 The MG3, now like the MG ZS, comes with a staggering 7 years warranty which is fully transferable between future owners of the vehicle, always giving you that peace of mind for the worst case scenarios From the first day you own the car, until your last, you can ensure that MG3 7 year warranty will be with you all the way!